This picture is the face of all that is wrong with the legal world. A lawyer, Stephen Diaco, agreed to surrender his Florida Bar license to protect his law firm. 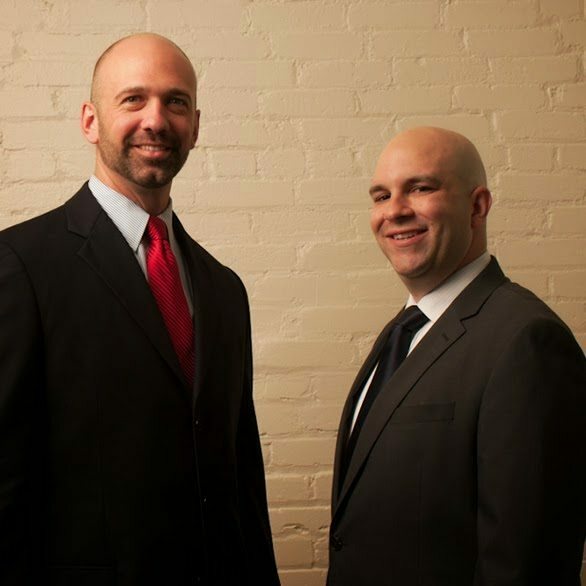 The other lawyers at the firm of Adams & Diaco, Robert Adams and Adam Filthaut, will receive 91-day suspensions, during which they cannot practice law. As everyone may recall, the law firm of Adams & Diaco represented local radio personality Bubba the Love Sponge in a defamation suit filed by other radio personality Todd Schnitt. A paralegal at the Adams & Diaco law firm saw the opposing counsel (Mr. Campbell), who represented Todd Schnitt, at a restaurant/bar after an evening recess during the week of the trial. The paralegal repeatedly contacted the partners at the firm and kept feeding drinks to Mr. Campbell. Ultimately, at the end of the night, Mr. Campbell was arrested for a DUI. In a step to make the process as fair and transparent as possible, the Pinellas County State Attorney’s Office investigated the DUI. In an extremely unusual step for Pinellas, they outright dropped the DUI charge based on the conduct of everyone involved, except for Mr. Campbell. Lawyers are supposed to hold the public’s trust. While everyone jokes about lawyers from time to time, most people know that lawyers serve a vital interest. Not in this case. When a lawyer intentionally manipulates the system to have an opposing counsel, or anyone for that matter, arrested just to improve their case at trial, they deserve the harshest possible punishment from the Florida Bar. CLEARWATER — Three lawyers accused of orchestrating the DUI arrest of an opposing attorney have agreed to a plea deal that would cost one of them his license. Under the agreement, the details of which were discussed at a Tuesday hearing, Stephen Diaco, 46, will surrender his law license, an offer designed to protect the firm of Adams & Diaco, where he is a partner. The other lawyers, Robert Adams, 45, and Adam Filthaut, 40, will receive 91-day suspensions, during which they cannot practice law. Although the details of the bargain have been worked out, authority to approve it rests with Pinellas-Pasco Senior Judge W. Douglas Baird. He gave no indication Tuesday whether he will accept the deal. If he does, it moves to the Florida Supreme Court, where the justices will have ultimate say. The deal, which was negotiated about a month ago but signed Monday, may disappoint some members of Tampa Bay’s legal community looking for closure to a case they consider profoundly embarrassing to their profession. Nowhere in the agreements do Diaco, Adams, or Filthaut accept responsibility for the roles the Florida Bar accused them of playing in arranging the arrest of a rival lawyer. They admit only to poorly supervising one of their employees, Melissa Personius, a paralegal who was alleged to be one of the main actors in the incident. Bar attorney Jodi Thompson said this was done intentionally, as the three lawyers remain under investigation by the FBI and could face criminal charges. Does it really matter, she asked, whether they admit to violating all the rules, or just some of them? “The focus should be on the sanctions,” she said. The lawyers’ alleged target was Philip C. Campbell who, in January 2013, was representing radio shock jock Todd Schnitt in a defamation case against Bubba the Love Sponge Clem. Clem had retained Adams & Diaco as his counsel. According to the Bar, which filed a complaint against Diaco, Adams and Filthaut last June, the three lawyers stopped at nothing to ensure Clem prevailed. One evening after trial, Campbell found himself seated next to a pretty young woman at Malio’s, a steak house bar downtown. According to witnesses, she flirted with him and told him she worked at Trenam Kemker, a Tampa law firm. In fact, the woman who charmed Campbell that night from a neighboring bar stool was Personius, the Adams & Diaco paralegal. Phone records would later show that over the next few hours, she texted and called her bosses multiple times. They, in turn, texted and called each other. Ultimately, she persuaded Campbell to drive her home. He had offered to get her a cab. He had tried to call a car service. And finally, he insisted that she leave her car there overnight. But according to the Bar’s complaint, Personius persuaded him to get behind the wheel. Once he did, Campbell was arrested by Tampa police Sgt. Ray Fernandez. A good friend of Filthaut’s, Fernandez had exchanged multiple texts and calls with Filthaut that evening. “Got it,” he messaged a colleague when he was told Campbell and Personius were on their way out. Allegations of a DUI setup surfaced soon thereafter, when Campbell realized he had left his trial briefcase in the car of his opponents’ paralegal. Fernandez was eventually fired and the DUI charge against Campbell was dropped. The Florida Bar charged the three lawyers with misconduct, unfairness to opposing counsel and disrupting court. Their penalty could have ranged from an admonishment to suspension to disbarment. If the state Supreme Court agrees to revoke Diaco’s law license, he will not be able to apply for a new one for a period of five years. If he does, he will have to retake the Bar exam. Once their 91-day suspensions are over, Filthaut and Adams will have to seek the permission of the state Supreme Court to practice law again. “They agreed to these Bar sanctions because they know what they did that night was wrong and inexcusable,” said John Fitzgibbons, an attorney representing Campbell.